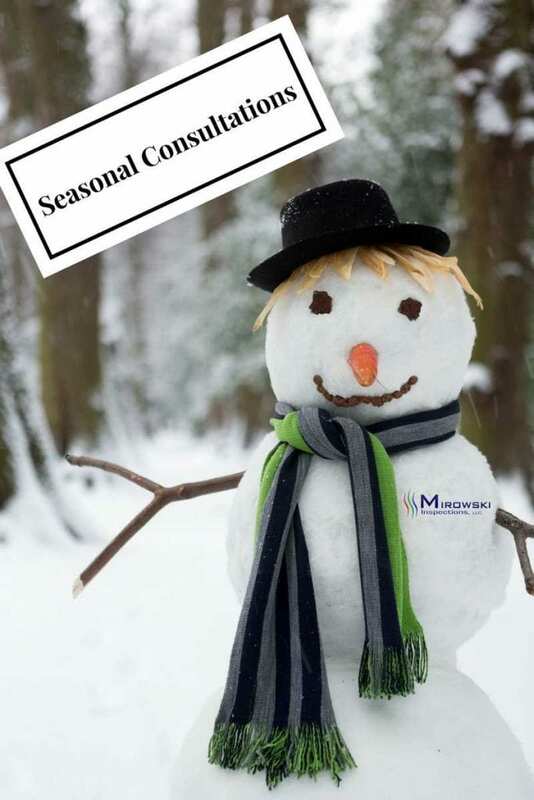 Mirowski Inspections now offers seasonal maintenance inspections to help provide you with an objective report on the condition of your home to assist you with making decisions around the upkeep and upgrading of your residence. It is often that homeowners are not aware of potential maintenance issues that may arise, and a seasonal maintenance inspection can alert you to areas of concern beforehand and end up saving you money over the long term. Mirowski Inspections seasonal maintenance inspections are recommended for homeowners every 3-5 years and they are usually ordered in the spring or fall as a form of tune-up inspection, ensuring the home is ready post-winter or pre-winter. Mirowski Inspection also offers General Home Consultations to help assist in the decision-making and planning processes.